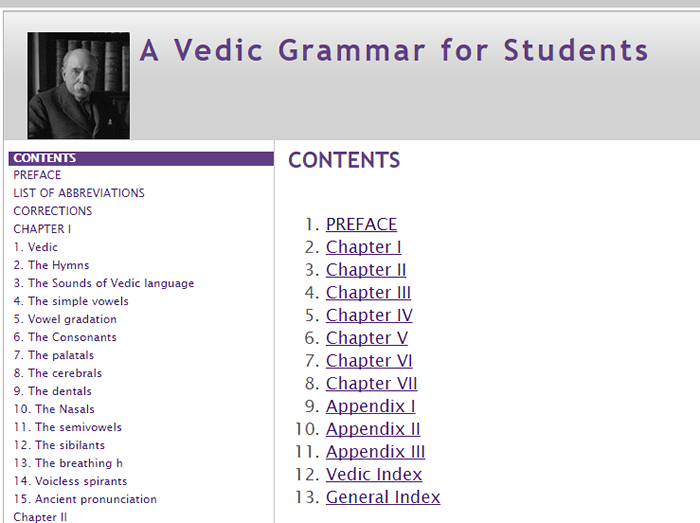 An online interface (searchable) to the wonderful Whitney’s Grammar. 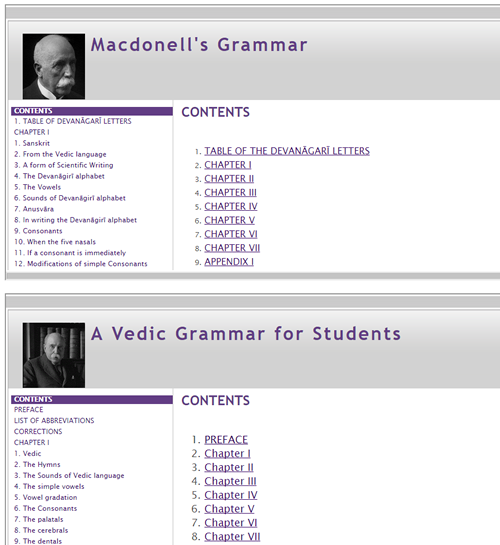 An online reference to Macdonell’s Vedic Grammar. 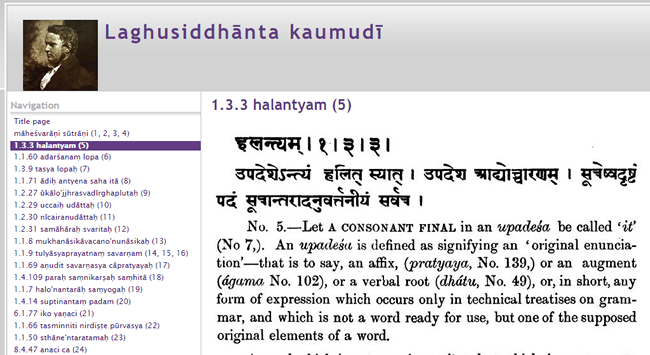 Since 2011 we have created a number of online references to aid the beginning and intermediate Sanskrit student. 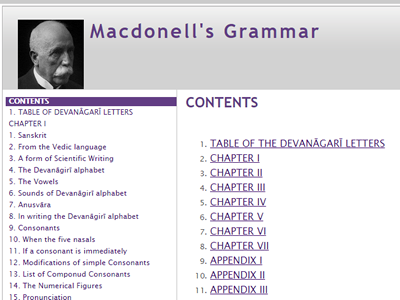 Having reference and study material at your fingertips and the ability to search and index the information has proven very helpful to students worldwide.